Learn about online dating scams and catfish investigations. This article provides an overview of catfish investigations associated with online dating fraud, scams and schemes. In addition, it provides advice on how to determine if you’ve been catfished, how to go about tracking down the fraudsters and how to report the crime. The internet and internet-connected devices are an integral part of most people’s lives. People use the power of the internet to learn new things, purchase products, conduct business and so much more. One of the most common online activities is online dating. According to DatingAdvice.com, more than 50 million people have tried online dating. People meet other people on more than 7,000 dating sites around the world, with Match.com being the most popular online dating site. eHarmony, the second most popular site, is responsible for about 4% of marriages in the United States. Despite the popularity of online dating, nearly 60% of online profiles are fake. Not all of those fake profiles are scammers, as some people just prefer to conceal their true identity. Catfishing is a trick used by scammers who use fake online personas to commit online fraud. Catfishers use social media, dating websites, discussion forums and chat rooms to create a fake profiles and use them to communicate with others. Their ultimate goal is to get you to send them money, or personal information that they can use to steal your identity. Some catfishers are very thorough in creating their fictitious online identity. They will create fake social media profiles across multiple social media platforms. They will have their own set of friends, timeline activity, regular posts, and more. Look for common keywords associated with fake profiles, including: widowed, royalty, etc. Not all profiles with these words are fraudulent, but the worlds are common among those that are. Be wary of those who claim to have a PhD or Doctorate degree. Scammers think having an advanced degree lends an air of credibility to their online presence. If the person you are chatting has a higher level of education, make sure it is consistent with the rest of their information. What country are they from? The majority of fake profiles are from the Ukraine, Philippines and Nigeria. Just be aware that smarter crooks won’t put any of those countries in their online profile. If you’re evaluating a profile on a social media site, look a their friend’s list. Online thieves usually don’t have a lot of friends. Are their profile photos that of a model or actress? Do they seem too good to be true? Perhaps they are. Beautiful people, even models, use online dating websites. But, the person with the beautiful face and amazing body should at least make you pause and think, “Why can’t this person get a date?” If they seem too good to be true, do some more investigation and consider more than just their photos. Many scam artists live in countries where English is not their primary language. Look for grammar mistakes and misspelled words. Their writing skills, vocabulary, slang, etc. should be consistent with their personal characteristics. In fact, some of their messages may not make any sense at all. Ask questions to determine if they are a real person. Sometimes, the “person” you are communicating with could be a “bot”, which will send automated and generic message to you, without any understanding of you. Ask questions like, “What did you like about my profile?” Online scam artists don’t want to read your profile. They just want your money. Be on the lookout for hard luck or hardship stories. Internet con artist usually have some kind of hardship, such as: trying to raise money for a sick family member; they are stuck in a foreign place and don’t have the money to get home; they don’t have enough money to pay their bills. Watch out for requests for money transfers. Beware of requests for quick money transfers with online apps like PayPal, CashApp, Venmo and others. Be suspicious of those who fall in love too quickly. Watch out for the person who is quick to say things like, “I’m falling for you”, or “I’m in love with you”. Internet thieves prey on people they identify as emotionally needy or unfulfilled. Then they use that weakness to perpetrate their scheme. Be wary of anyone who sends you links. The link can lead you to a phishing site that tries to steal your login and password, your personal information, etc. As a rule, I recommend that you don’t follow any links that other people send you on a dating site. It is fine on social media, if it comes from a family member or known friend. However, you should still be cautious. If you realize that you’re dealing with someone who isn’t who they say they are, you can simply block them and stop communicating with them. As long as you haven’t revealed any personal information and they are simply annoying you, just block them and move on. If you have already divulged personal information or sent money, then it is time to start checking into things. Use the information in the person’s profile to search the internet. Copy and paste the user’s profile name into a Google search. Review the results to see if the same user name is used on profiles on other social media or online dating websites. Search for similar profile text. In addition to searching for their username, grab some of the text from their profile and paste it into the Google search box. Check the search results to see if the same text has been used on other sites. Check to see if the photo is used elsewhere. 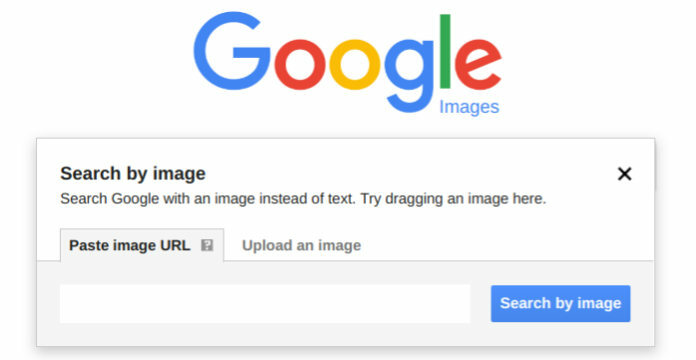 If the profile has a photo, copy and paste the photo into a Google Image Search. A Google Image Search will show you other places where the same photo has been used. This will help you determine if the photo is real, and if they have other profiles. If you find matches, visit the site and review the photos and profile information. You can call your local police department and ask to file a report, although it won’t do much good. Most local police departments don’t have the resources to investigate online fraud. You are better off reporting the incident to the FBI’s Internet Crime Complaint Center. If you’re dealing with a business, also file a report with the Better Business Bureau. To learn more, see our article on How to Report Online Fraud. If you need professional help, visit our directory of investigation professionals to hire an investigator who specializes in social media investigations, online fraud and/or catfish investigations. If you’d prefer to run your own check. You can do so for less than $25 with a site called BeenVerified. With BeenVerified, you can run unlimited people searches, run reverse phone number searches, reverse email searches and more. Search public records by name, phone number or email address to find out if you’re dealing with a real person. If you have any questions about online dating scams and catfish investigations, please leave a message below. If you’d like to learn more, read about other frauds, scams and schemes.